Landing on perhaps the hottest bank holiday weekend on record the first Fixed Beers CC ride from London to Cambridge was a huge success. We started in Southbury, taking a beautiful, long, winding route through the countryside past rolling fields and quintessentially British summer scenery. 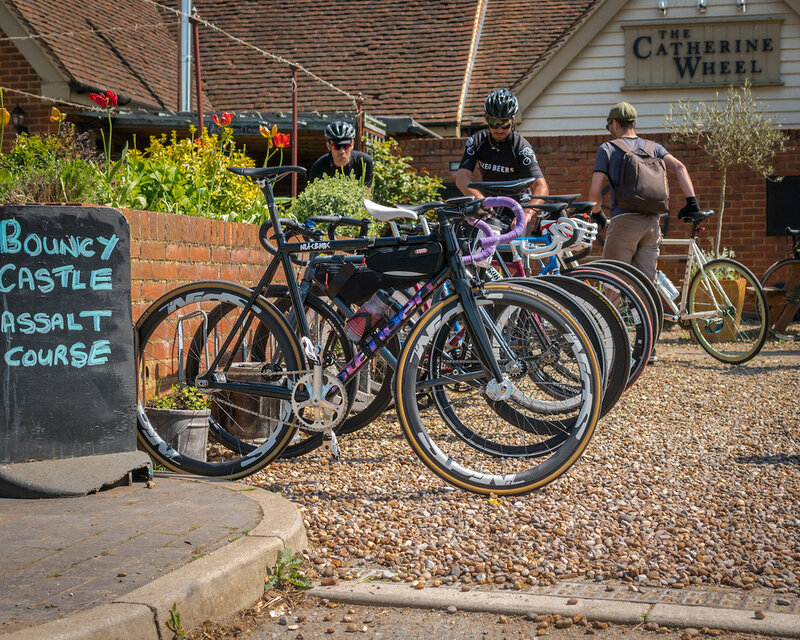 There were a few stops including at a lovely welcoming pub which had space to park our bikes out front and a puncture. We met other cyclists on a similar adventure along the way and had a chance to test our new race kit created with the help of Sam and his great team at Paria. Arriving in Cambridge around four in the afternoon we headed straight for Jesus Green to recover from our voyage with food and refreshments. Next stop Berlin for Fixed42! Huge thanks to our fantastic sponsor Fitbeer who supplied us with a crate of their wonderful alcohol free premium beer for this journey. Head over to their website and use code FIXEDBEER10 to receive 10% of orders over £30. Another thank you goes to Bloc Eyewear who have been keeping our eyes safe from the sun, a must have on days like these, cheers guys.